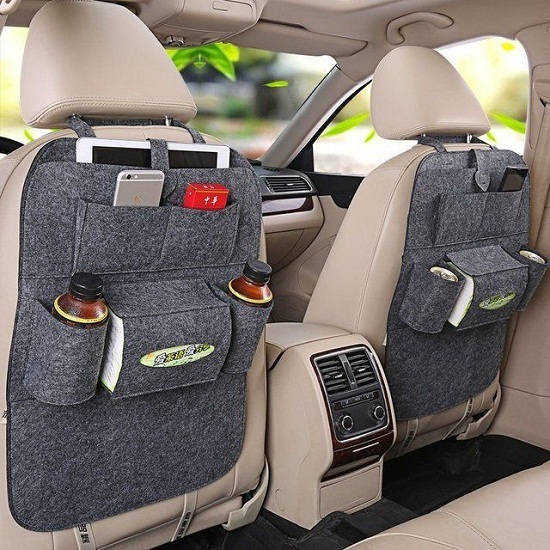 This car clever backseat organizer holds your food packets, drinks, gadgets and a lot more. In a nutshell, it helps you declutter your backseat. Turn your car's headrest into a storage space with this car headrest hook. You can hang groceries, handbags, water bottles, toys, baby supplies and a lot more. 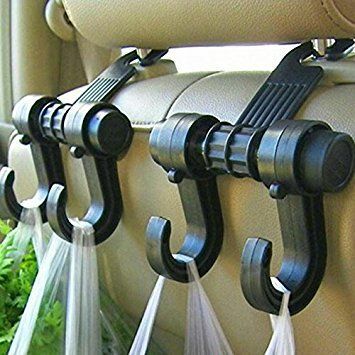 Why clutter your backseat when you can get these hooks installed in your car! Invest in these car headrest hooks and declutter your backseat quick and easy. Built of superior materials, one unit of headrest hook can easily hold up to 13 pounds. Whether it is the smell of smoke or the stale odour produced by smelly feet, this car ionizer eliminates the peculiar smell. It purifies the air and reduces the chances of general ailments like coughing, sneezing, asthma and so on. This car not just keeps the odour out of the car but also fills the car with fresh air. Utilize every inch of your car boot space with this car boot organizer. It has large compartments and side pockets to hold car repair tools, general essentials and more. You can even store grocery in this car boot organizer. The non-slip pads prevent any kind of damage to the things stored within. You can fold it when not in use. In addition, this car boot organizer comes with a removable insulated cooler which keeps food and drinks at the perfect temperature. Does your beloved car look a little old because of a few scratches? Don't worry, we have a permanent solution for you. 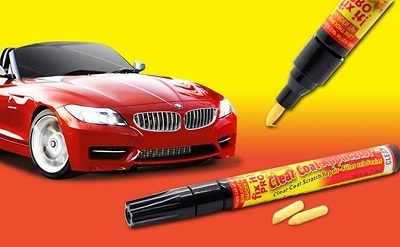 This car scratch remover pen is a scratch repair filler. It removes scratches from your vehicle easily. Using the car scratch remover is super easy. Apply the pen on scratched areas, buff it in and wipe it. This scratch repair pen is permanent and water-resistant. 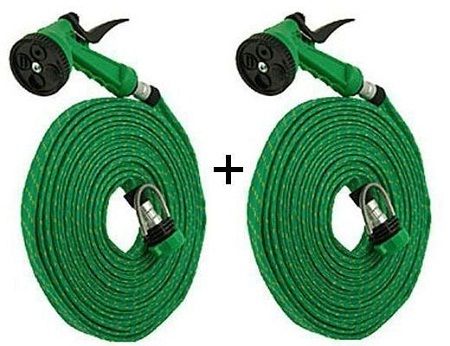 #6 Set of 2 Hose Pipe with Spray Gun- Why waste your money on car washing services! Back from a road trip? Your car needs a good wash. This hose pipe with spray gun nozzle delivers a high volume spray which washes away the dust and dirt. Just turn on the nozzle and make your car sparkling clean in a few minutes. Did you know? Driving with inadequately inflated tires not just hampers the performance of your car but it is also not safe. No matter where you travel, this car air foot pump must be a part of your car emergency kit. 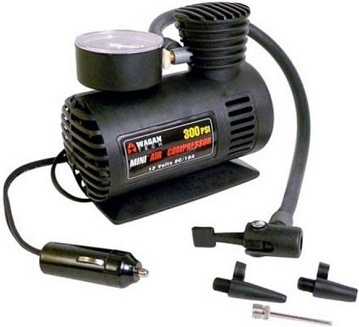 With this air foot pump, you can check the air pressure of your car tire and fill it if inadequate. When the tires are properly inflated, they end up saving fuel for you. 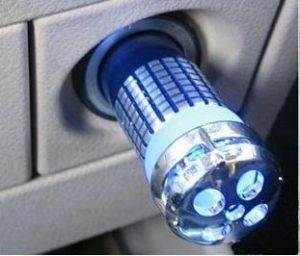 This accessory can be used not just in the car but at your workplace as well. Simply attach this to your chair and it is ready to use. The mesh framework is flexibles and provides adequate support to the lumbar region. This seat support is meant to correct poor posture which can cause lower back pain. Even if you are already suffering from lower back pain, you can use this supporter to feel comfortable. 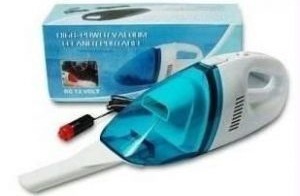 Keep your car interiors clean and tidy with this car vacuum cleaner. 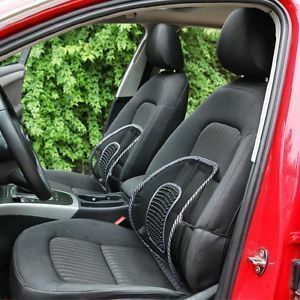 It has a handle like attachment which cleans the most difficult corners of your car with great ease. All you need to do is connect it to your car charger and start cleaning.